Wow, I can’t believe the summer is coming to an end. It’s strange how July comes and all of a sudden it’s the middle of August. I guess it’s because, for me, it’s the best time of the year. The following are some of the things I’ve been working on. I have substantially finished my second book, however I’m not sure what to call it. If you’ve been following my blog, you will know that the them is the illegal organ trade. Doctor Dom Tavano, a disgraced military surgeon goes undercover to discover the link between a Mexican Drug cartel and its nefarious dealings and the US medical institution. I really like Dom’s character, and my ghost readers have told me that the book is a very good ride. I will be sending the manuscript off soon. My daughter Molly is helping me write some diary posts for a young rower who is in need of a heart transplant. Molly has been a bit slow as she was rowing this summer herself. I’m giving her the big push right now. The story is a different flavor from Devil in the Grass, a bit more straight forward and not as dark. Jackson Walker returns soon. I’ve made substantial progress with the sequel to Devil in the Grass. I really like what I’ve written so far. I’ve taken a darker road again with this book! Jack has gone to law school and is now working for Peter Robertson. Janie and Jack work together to solve Jacks first big case. He must navigate his way through a nasty bunch of Russian pornographers to help solve the case. Mason Mattai, leader of the Church of Satan had broken out of prison. Another run in with the Devil worshipers? I spent a week in south Florida recently, interviewing people who survived a true story adventure. The longest survivors in open water after their boat sunk in the Gulf of Mexico. I think it will be a good book. I’m putting together a timeline and filling in all of the blanks regarding everyone who was involved, be it the survivors or the rescuers. I still have several people to talk to including the coast guard and a few public officials who were involved. Please share with your tribe! 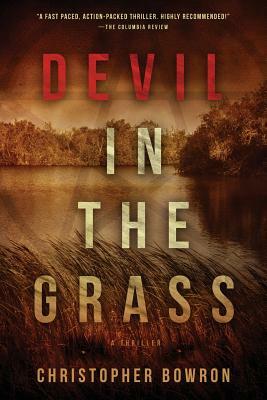 ← Devil in the Grass is an Amazon #1 Best Seller! 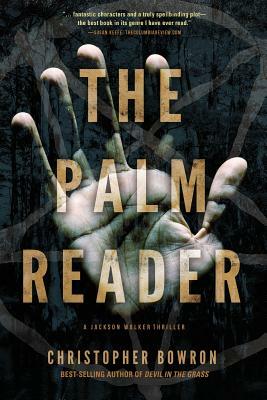 Newly released, The Palm Reader is the sequel to the best-selling Devil in the Grass. Sign up here and get the digital edition of The Body Thief FREE!